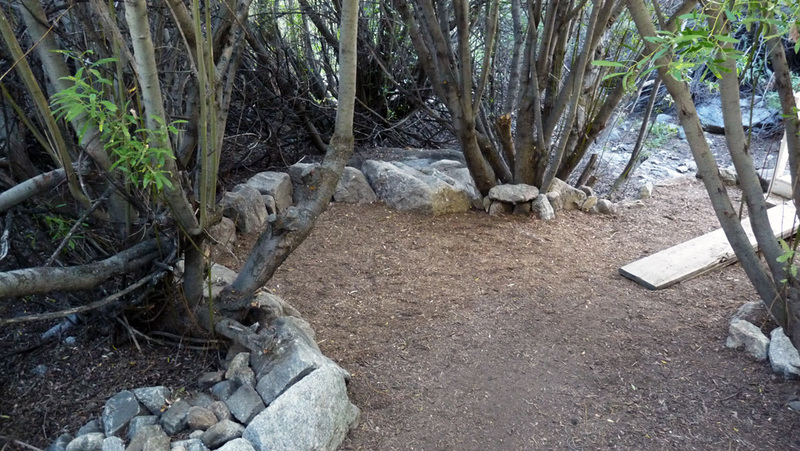 Another large boulder laid buried right in the middle of the path with just the tip sticking out. It was an obstacle hindering the western approach to the Wedding Bridge. For years, the pathway narrowed here so you had to squeeze by a little awkwardly. In July, 2009, I decided to tackle this problem. (1) ^ ^ ^ ^ It proved to be a very big rock, too heavy to lift out of its own hole. The technique to remove it was to dig away the side of the hole in the downhill direction so there was no lifting involved, just sliding sideways. 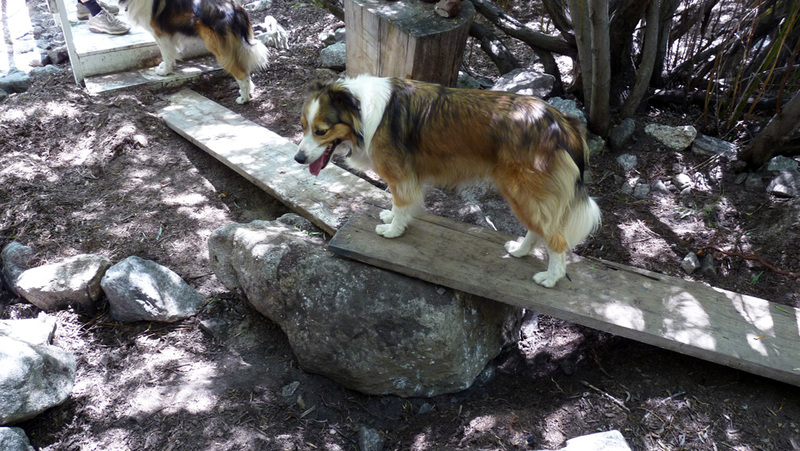 (2) ^ ^ ^ ^ These planks were used as a temporary walkway over the top of the troublesome boulder. 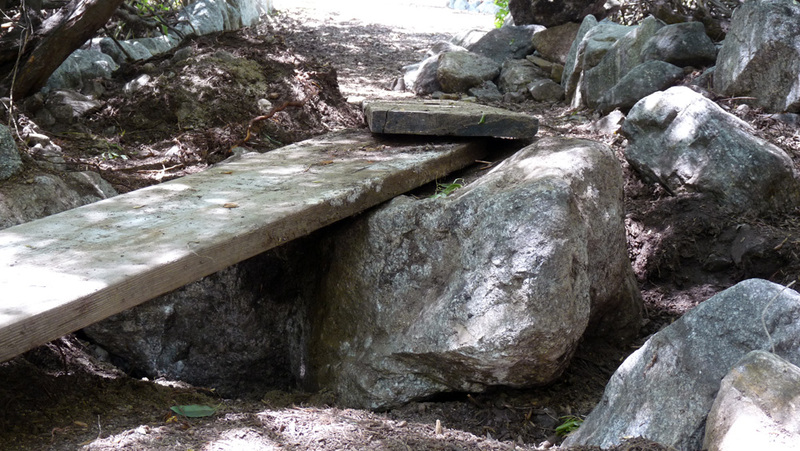 Using steel digging bars with fulcrums, it was possible to slide the rock sideways, inch by inch, away from the approach to the bridge (seen in the background). 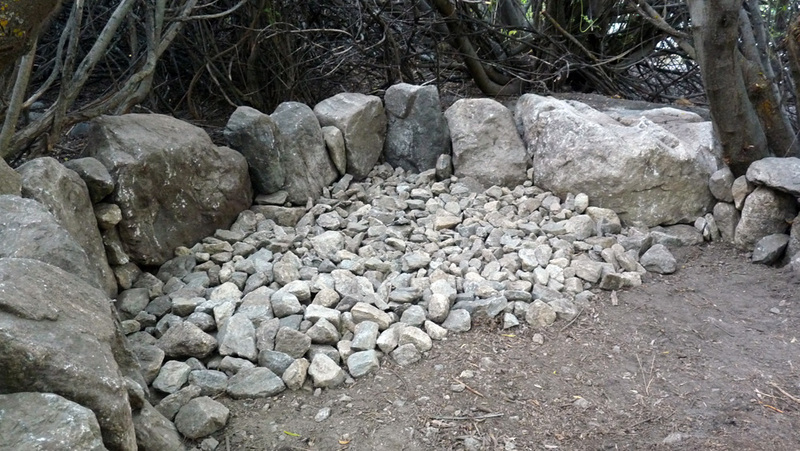 (3) ^ ^ ^ ^ Here's the boulder in its new resting place. 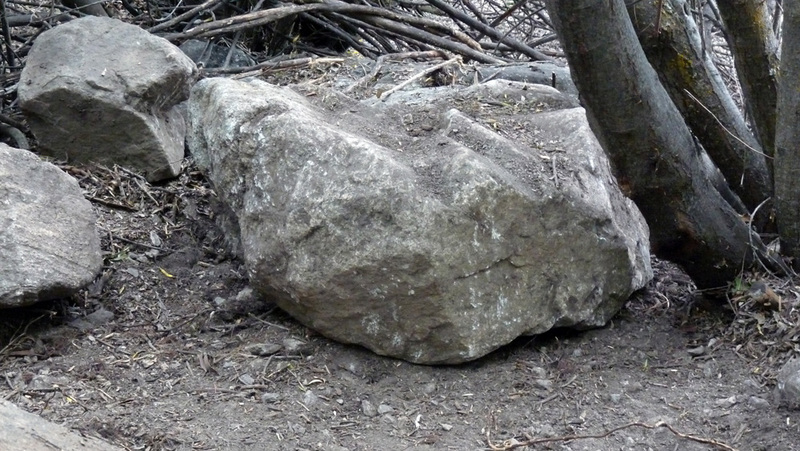 (4) ^ ^ ^ ^ In the new position, I was able to use the boulder for another purpose. 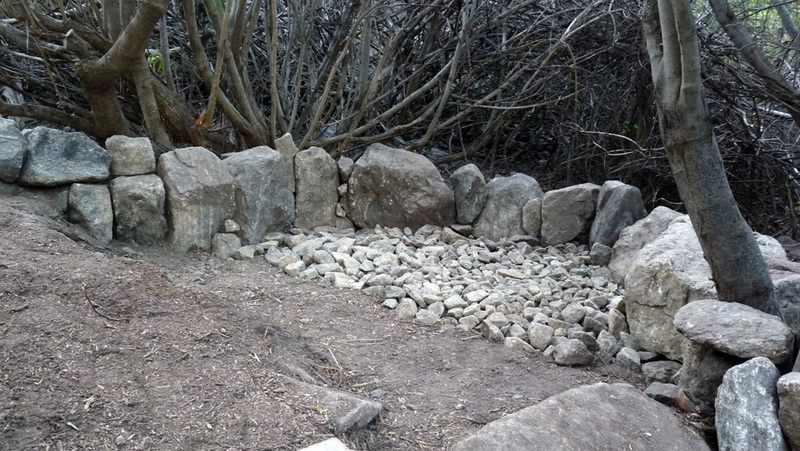 It became part of a wall for a little grotto area. (5) ^ ^ ^ ^ Ready for a finishing layer of wood chips. 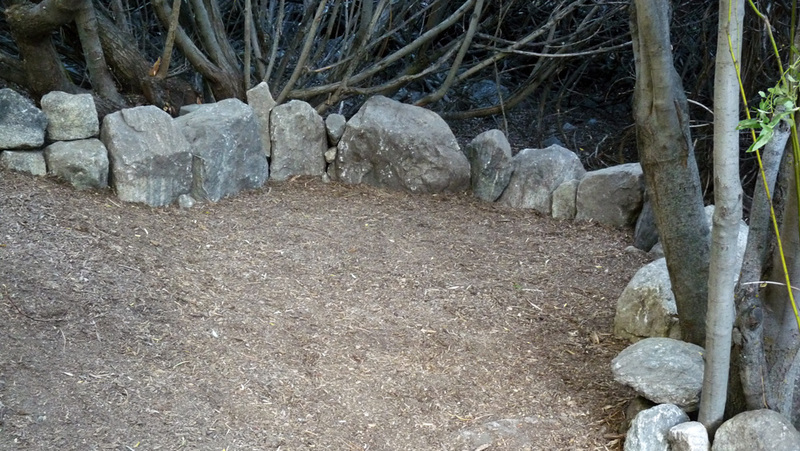 (6) ^ ^ ^ ^ The new semi-circular grotto area. (7) ^ ^ ^ ^ The project took about a month to complete and made walking by here much easier.